Blind Concepts has built up a great reputation for its commercial work. With our complete range of shading solutions, we have the perfect blinds for all settings. Our selection of commercial blinds in Melbourne are stylish yet practical and crafted to add a flawless finish to your space. 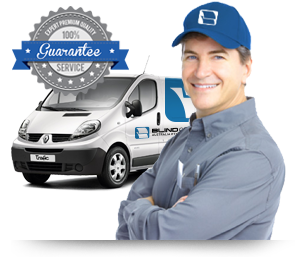 If you are looking for a reliable service that offers all blind solutions, look no further. Blind Concepts offers complete commercial window treatment solutions with its exquisite selection of blinds. Our range of blinds is crafted to offer the perfect fusion of functionality and aesthetics. They make the ideal accessory to spruce up the look of your commercial space while at the same time control the level of light. With the wide options to choose from, you are sure to find a blind that best suits your space. We understand that every commercial space has its unique needs. With our wealth of experience and thorough understanding of commercial requirements, we can suggest the right solution. Built from superior quality fabrics, our collection of blinds are created to last and withstand harsh commercial environments. Transform the look of your commercial space with our amazing collection of commercial blinds. Whatever be the size or type of your window, we can design a blind that meets your exact specifications. With blinds that have a crisp finish, you can set the right impression. Based on the size of your windows and function served by your space, our experts will offer ideas that can immensely enhance the appeal of your office and also offer functional benefits. Expertly crafted, our blinds are easy to maintain and operate. Whatever be the need of your commercial space, feel free to reach out to our team for the best solution. We have worked with some of Melbourne’s best commercial developers to offer off-the-plan options and customization options. Exterior windows, internal office windows. Venetians, Verticals, Sunscreens, Hollands, Romans, Cedars and Exterior Awnings. Refurbishment – we will clean and repair blinds on-site at a time that is most convenient for your business. Two fully equipped trucks each with a 3-meters automated bath system capable of cleaning in excess of 100 Venetian blinds, ‘On Site’ per day. We carry at all times, most blind parts from all popular manufacturers brands. Choose from our wonderful collection of blinds today to complete the look of your home. If you need any help, feel free to call us at 03 9720 1778. You can also get in touch with us online for a free quote.